For many individuals, the decision to file for divorce is a life-altering moment. When you make the decision to divorce, you’ll need to answer important questions that could have an impact on your family for years to come. Deciding how to divide property, debts, and assets is seldom easy. When children are involved, questions about where the children will reside, who will have custody, and how visitation will be arranged need to be answered. Under Georgia’s divorce laws, you have important rights. If you are considering filing for divorce, a divorce lawyer in Lawrenceville, Georgia can speak to you about your goals, and protect your rights as you navigate the legal issues that arise with divorce. The family lawyers at the Law Offices of Gregory C. Okwuosah, L.L.C. will work with you to help you and your family move forward during this highly-emotional time. 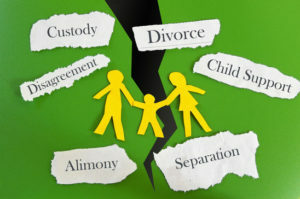 The divorce process can be painful and difficult for families and individuals involved. While it is possible to file for divorce without the assistance of a family lawyer, individuals run the risk of forfeiting important rights by doing so. Divorce can take months to years, depending on the kinds of questions you and your former spouse will need to answer. It is important to understand that divorce is not an easy process for most people. The decisions you make during your divorce can have an immense impact on you and your family years into the future. For this reason, it is always wise to speak to a qualified divorce attorney in Lawrenceville, Georgia. Your family law attorney can review your unique financial circumstances to help you plan properly and reach the best possible divorce agreement. When you file for divorce, you’ll need to disclose your assets, debts, and determine whether you want a fault or no-fault divorce. There are many grounds for divorce you can choose among, but only one category is “no-fault.” Your family attorney can review the benefits and drawbacks of each category and help you select the grounds for divorce that will best meet your needs. For instance, if you and your spouse agree about division of property, assets, and can create an amicable parenting plan together, a no-fault divorce may be the best option. However, if you are entitled to receive alimony, if you anticipate disagreement in division of property or child custody, choosing the specific grounds for divorce that reflect your situation may offer you more options. Finally, before you file for divorce you should take proactive action to protect your rights. Keep a record of your monthly expenses. Collect important documents, such as tax returns, bank statements, and other legal documents. Contact a family law attorney in Lawrenceville, Georgia today. The Law Offices of Gregory C. Okwuosah, L.L.C. offer compassionate and caring counsel to individuals navigating the important questions that arise during a divorce. In some cases, the grounds for divorce can have an impact on alimony awards and on child custody determinations, but it is important to speak to a family lawyer before you choose your grounds for divorce. For instance, choosing certain grounds so that you can strategically keep your spouse away from the children can actually result in your losing physical custody. It is important that you be able to prove any claims you make in court, and that you consider the impact any claims could have on other aspects of your case. The Law Offices of Gregory C. Okwuosah, L.L.C. are divorce lawyers in Lawrenceville, Georgia who can help you navigate these challenging legal questions. 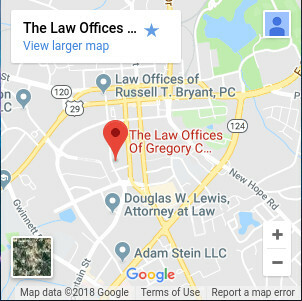 Who is the Best Family Attorney in Lawrenceville, Georgia? Gregory C. Okwuosah, L.L.C. is a qualified family attorney in Lawrenceville, Georgia committed to helping families move forward with their lives. Divorce signals the end of an important chapter of your life, but you don’t have to navigate the legal issues alone. 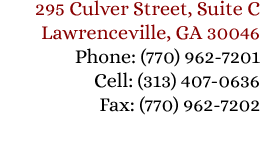 Contact our family law attorneys in Lawrenceville, Georgia today.